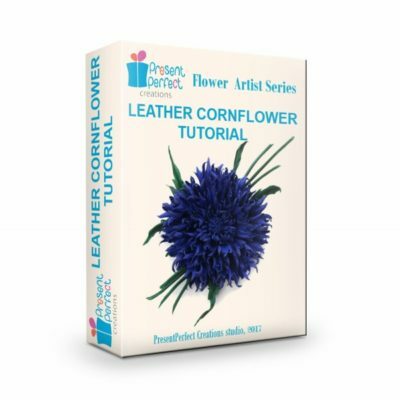 Those of you who have tried working with genuine leather know how temperamental it can be. 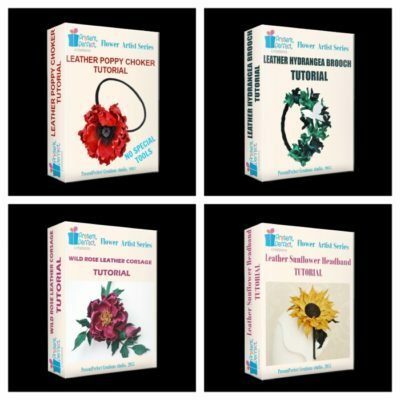 Leather is a natural product and as a result may have imperfections such as holes or scars, the thickness and stretch can vary too. 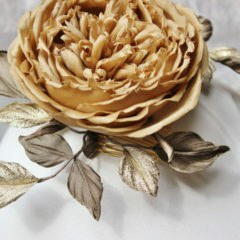 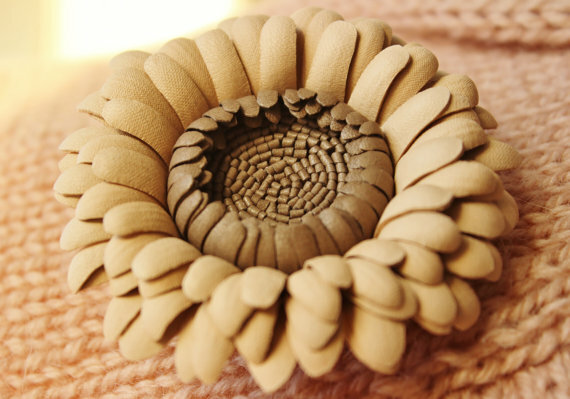 And it is completely unpredictable when it comes to shaping it with hot flower iron. 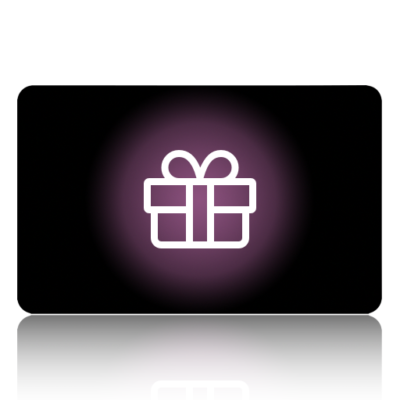 and a piece of plastic or a glass board as seen in the picture. 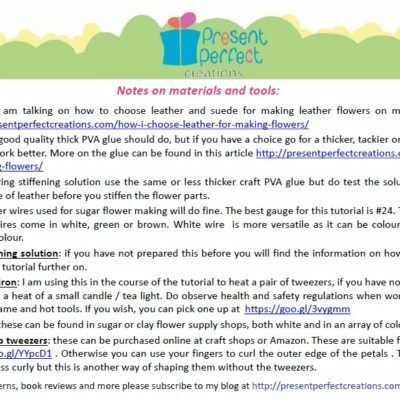 I use a rather thiсk PVA glue intended for craft purposes. 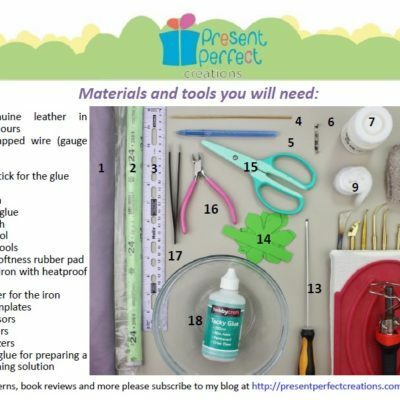 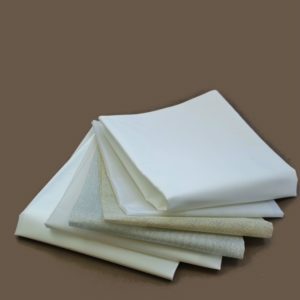 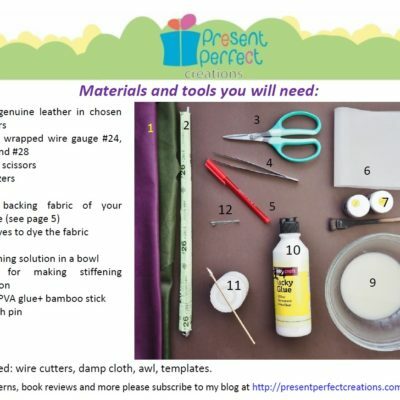 The ratio of glue to water can be from 1 to 5 to 1 to 10 depending on how thick your leather or glue are and how stiff you want the leather to be. 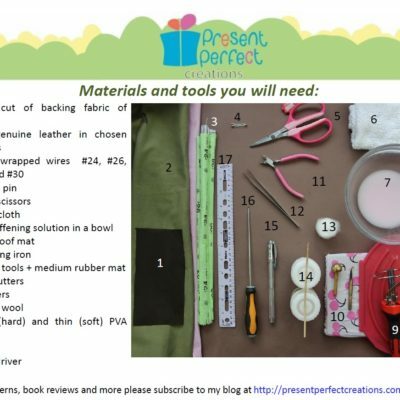 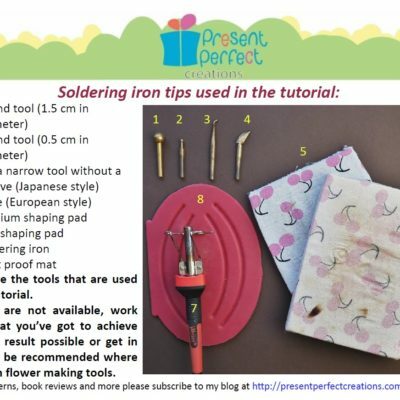 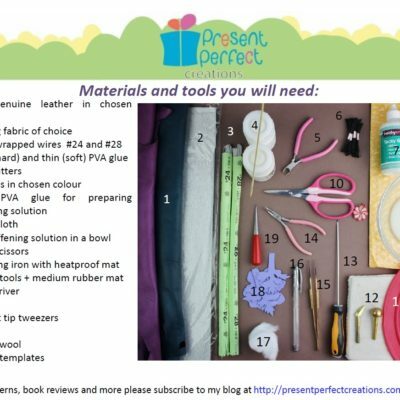 You might need to experiment with the quantities, but the general guidelines are: the thicker the leather the weaker the solution (less glue). 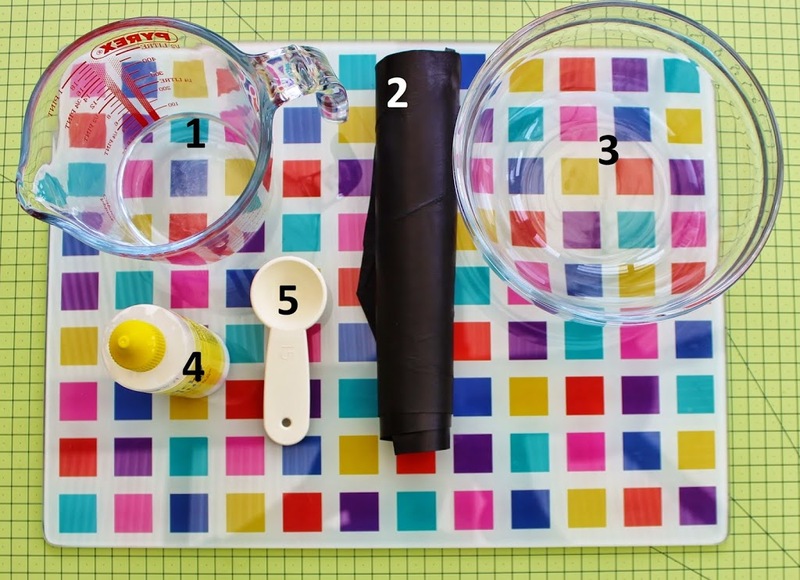 The ready to use solution should look like milk. 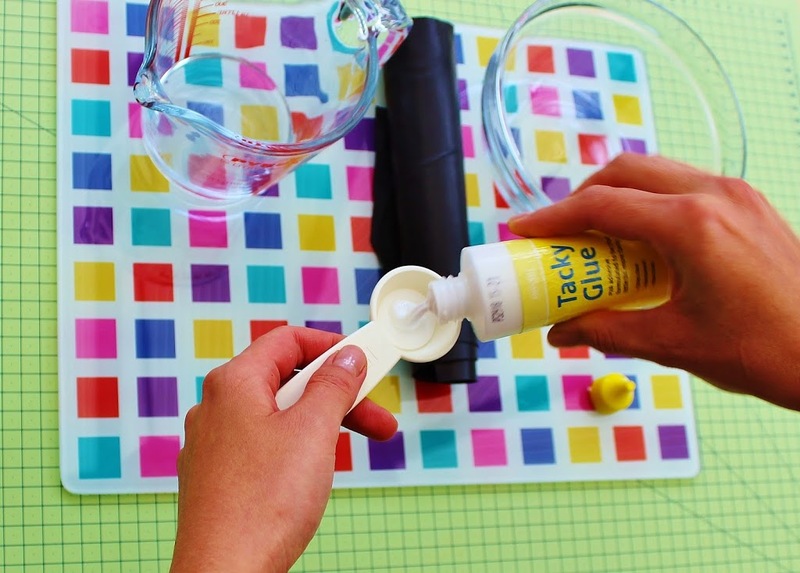 I use a measuring spoon to measure the amount of glue. 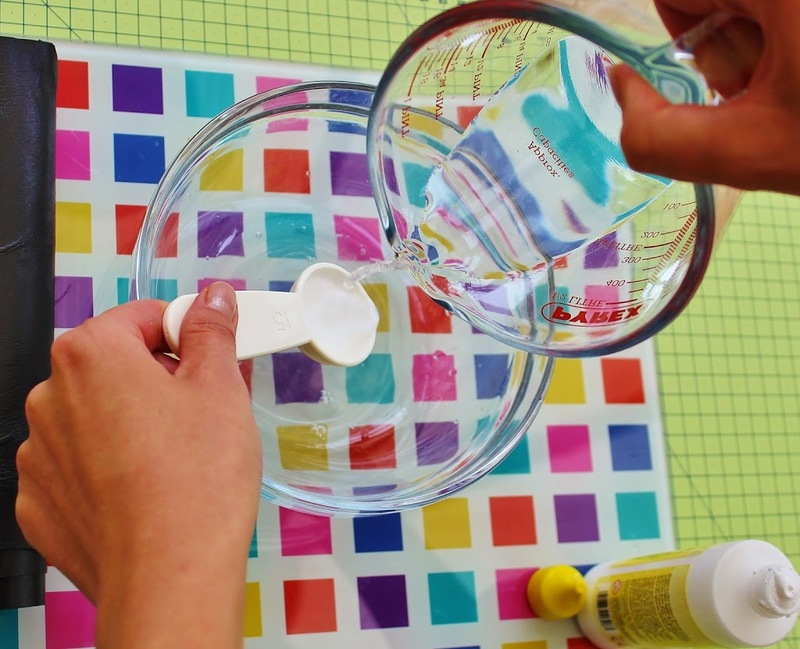 In the picture 10 ml of glue are being mixed with 100 ml of water. 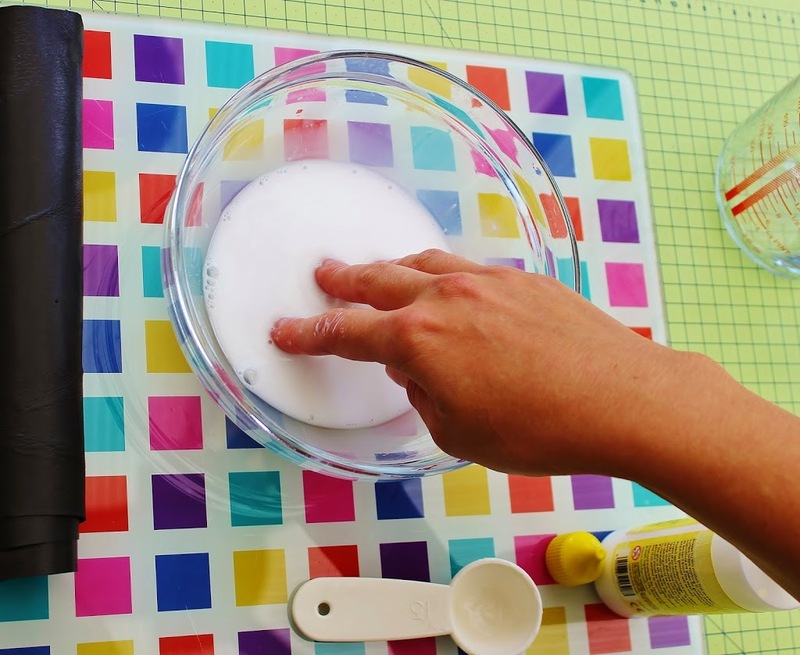 Dissolve the glue in water to get a solution resembling milk. 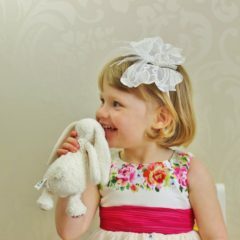 If you have sensitive skin consider wearing gloves. 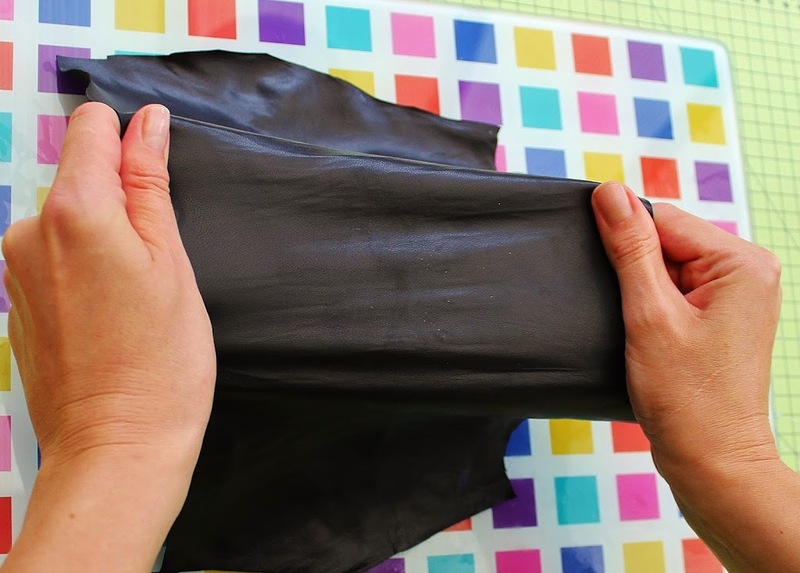 Immerse the piece of leather (about A4 size or so) into the solution and make sure it is well soaked in it. 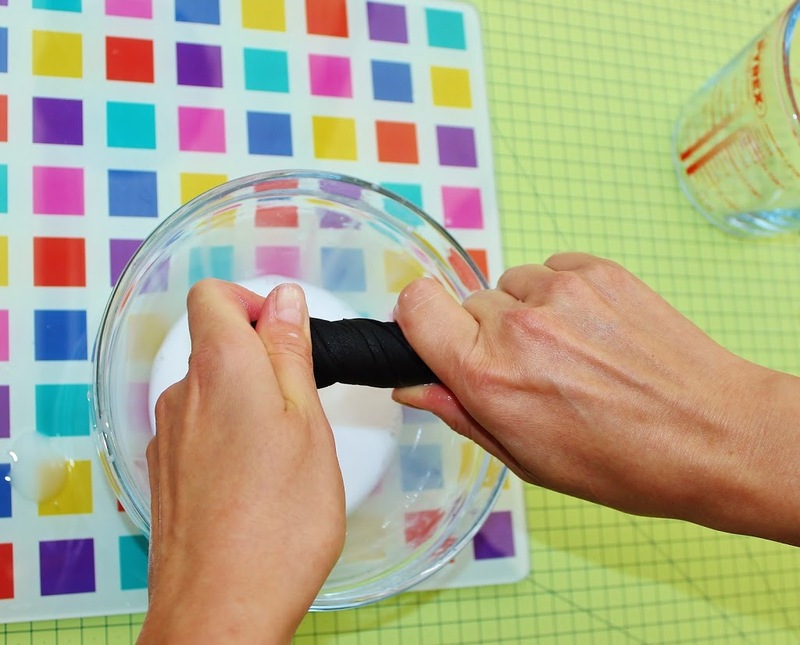 When the whole piece has been soaked, twist it to get rid of extra solution. 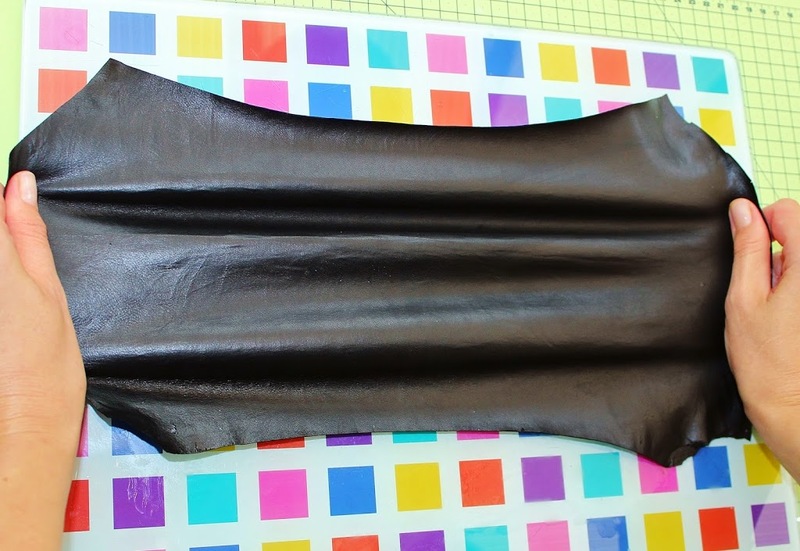 The leather should be almost dry. 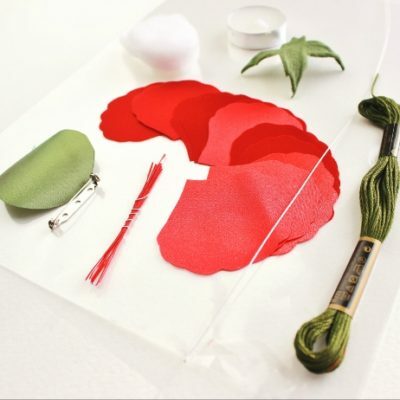 Then stretch it to make it even and thin it a bit more. 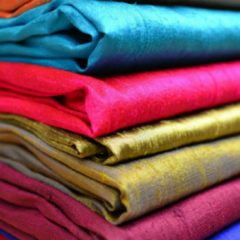 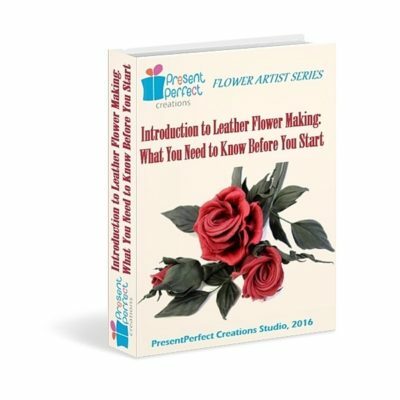 I tend to use leathers with a thickness of 0.6-0.8 mm or so the sellers say but it is still rather thick for the flower making. 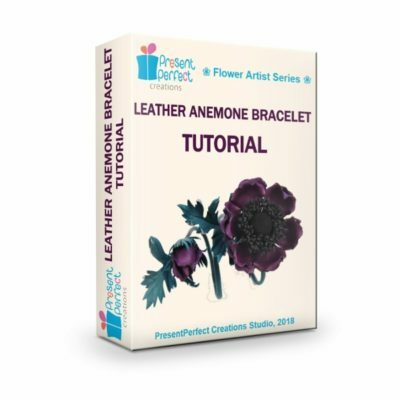 Stretching the wet piece of leather in some cases makes it thinner but it all depends on the properties of the particular leather you are using. 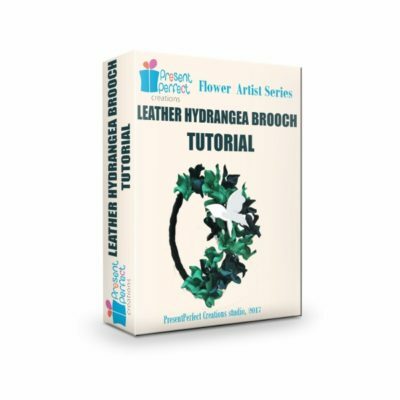 I stretch in all directions: horizontally, vertically and diagonally. 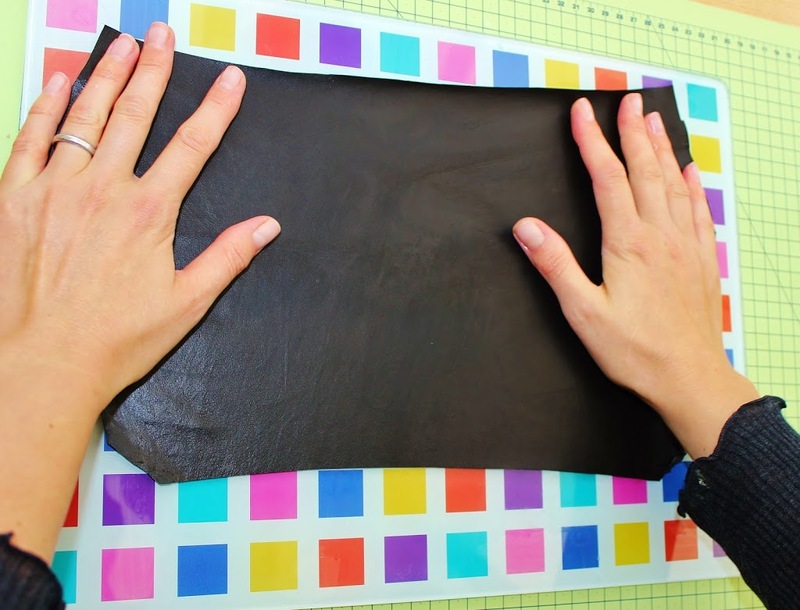 With your both hands flatten the stretch piece of leather on the smooth flat surface (like this glass board). 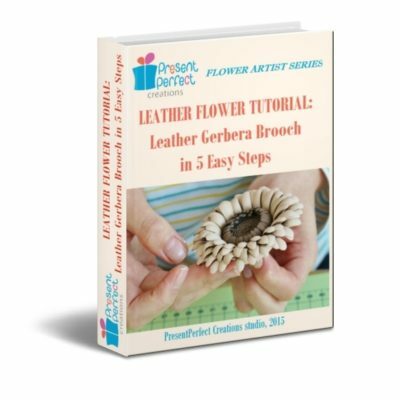 Leave the flattened and smoothed piece of leather to dry completely before cutting and tooling it. 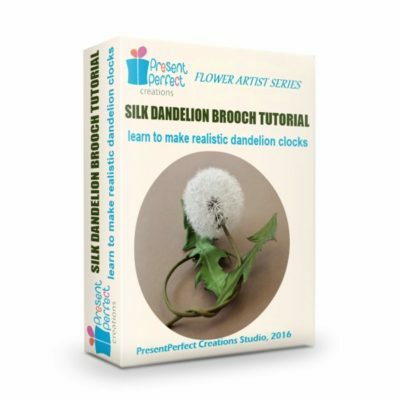 It might take up to 24 hours. 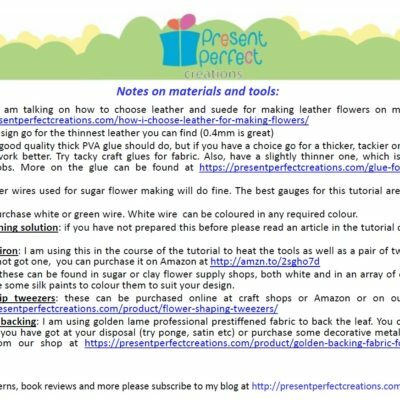 Coloured leather skins are rather delicate and may require more gentle handling than the black leather shown in the photos above. 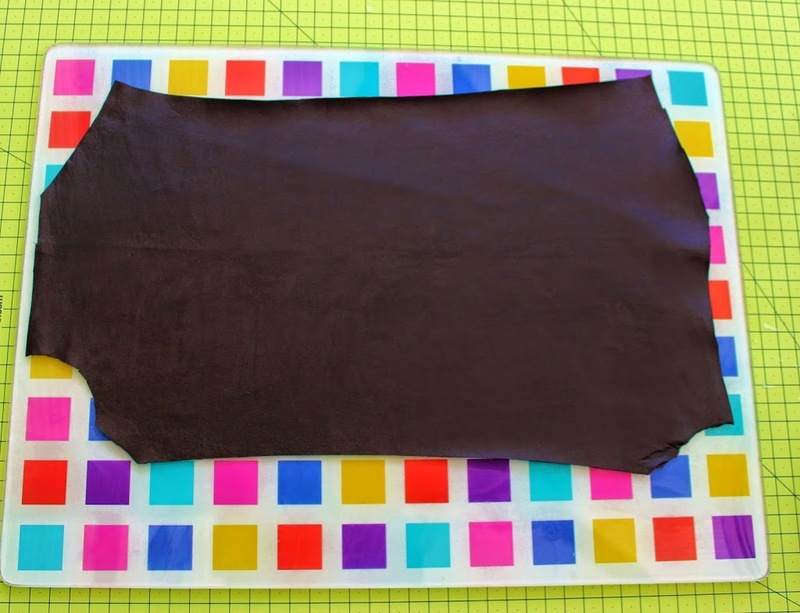 Consider using a large kitchen tray where you can place your leather in one layer. 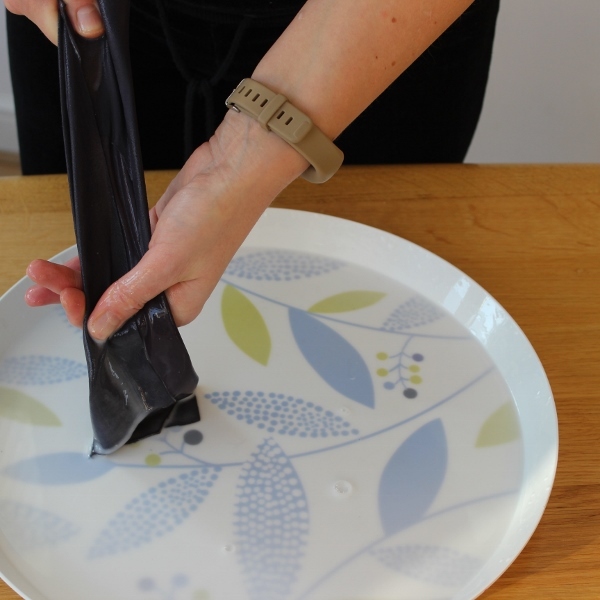 Place the piece of leather into the tray (either side up) and pour the warm stiffening solution over it. 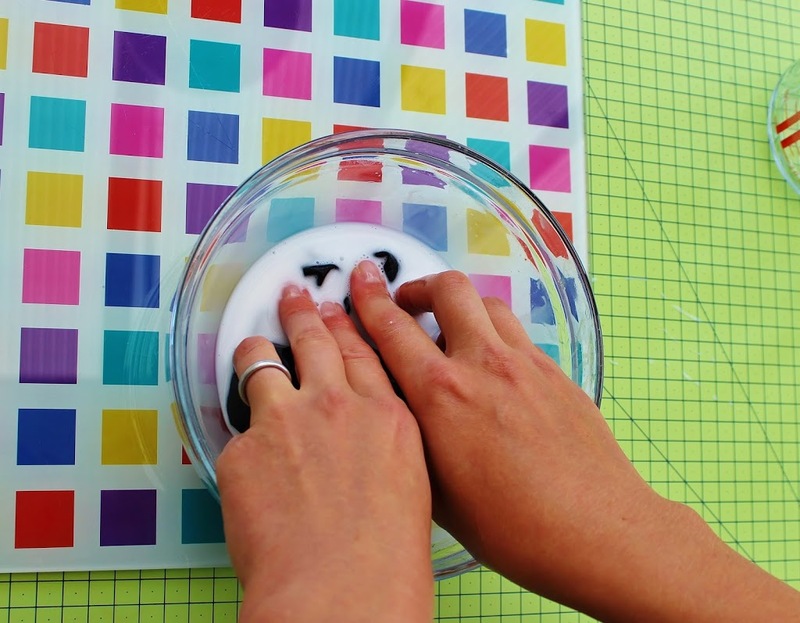 Let it soak for several minutes. 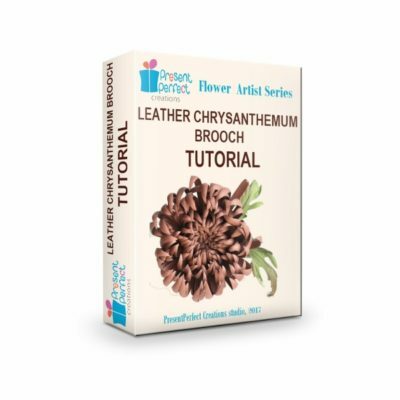 Most probably you will need to help the leather get well saturated by gently rubbing the solution into the leather with your fingertips. 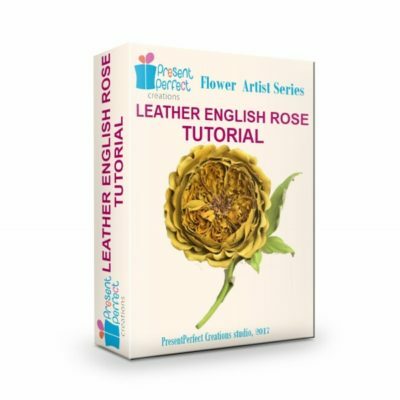 Try to do it carefully to avoid making any marks or damage the surface of the leather. 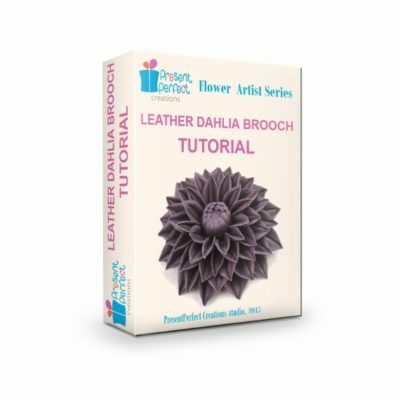 Once the leather has gone evenly darker all over its surface, lift it and gently squeeze any extra solution out of it by running it between your fingers. 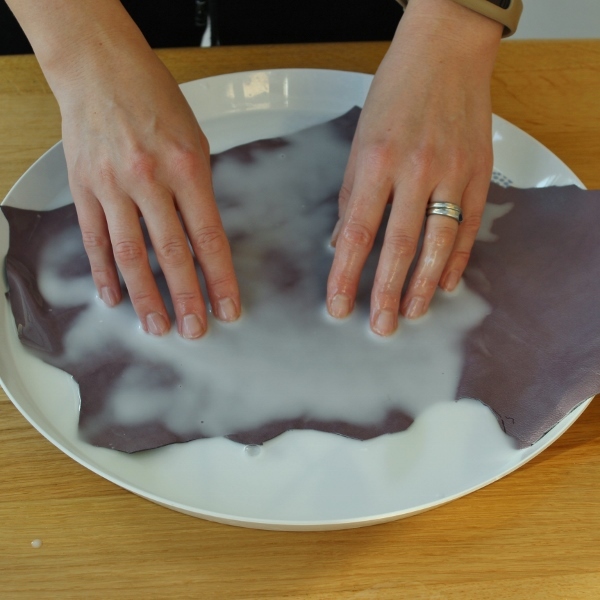 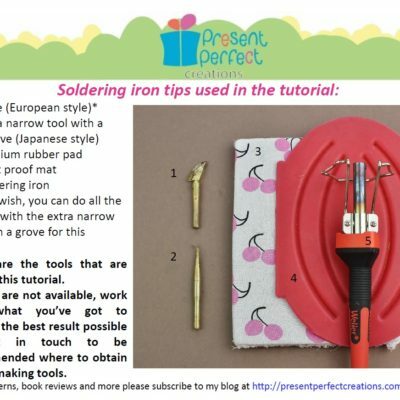 Then you can spread it onto a work surface or a glass table evenly as shown above and leave to dry completely. 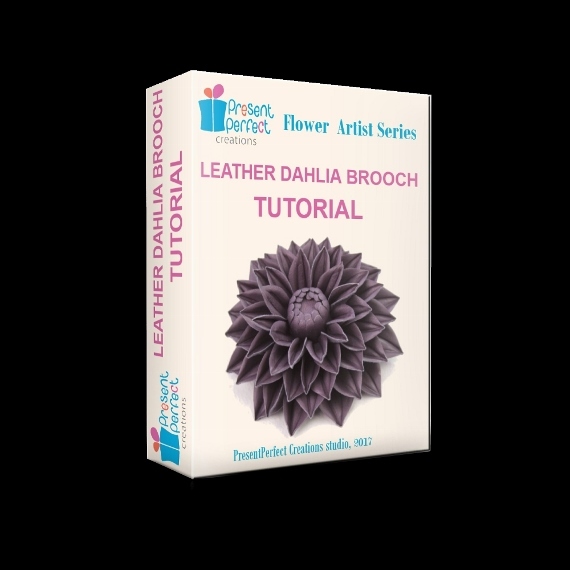 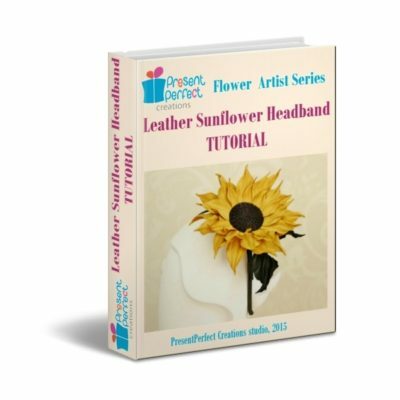 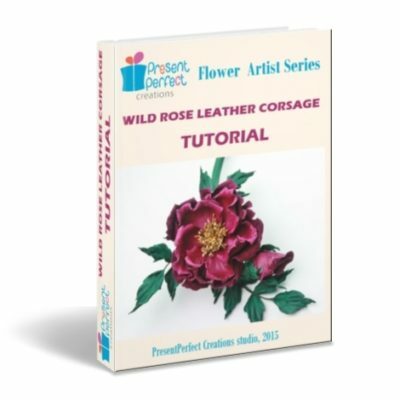 For more detailed instructions on how to stiffen coloured (especially pale) leather skins refer to our detailed LEATHER DAHLIA TUTORIAL. 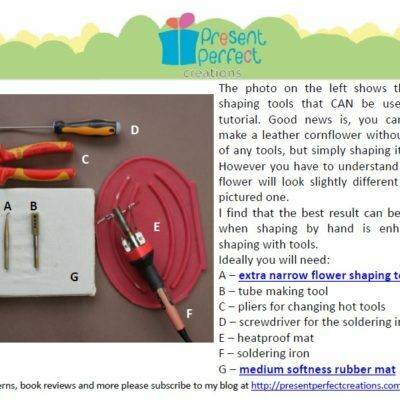 Good luck with your stiffening! 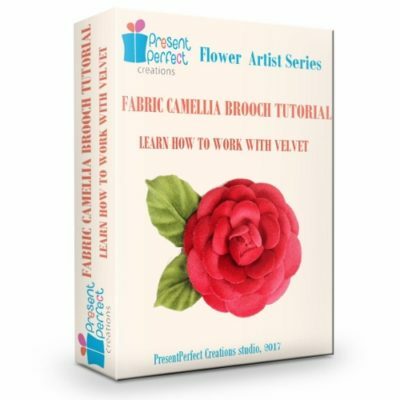 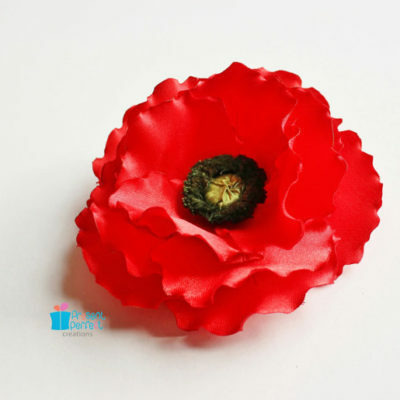 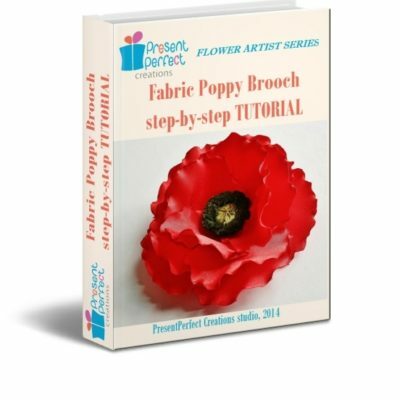 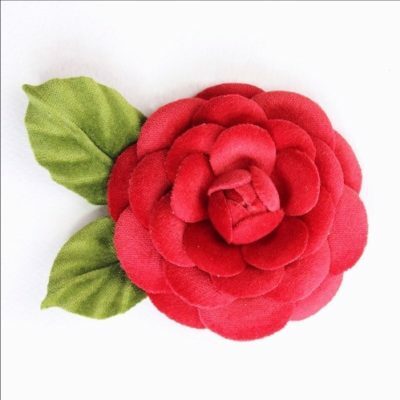 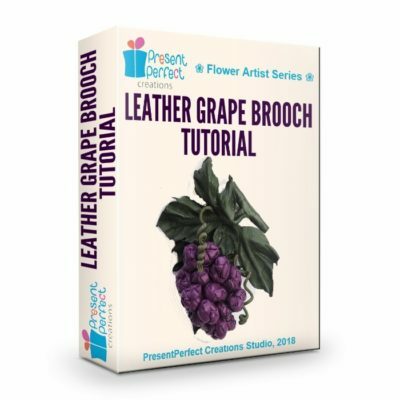 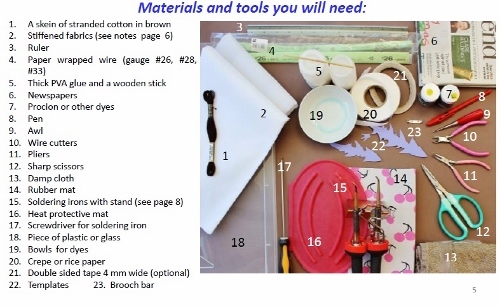 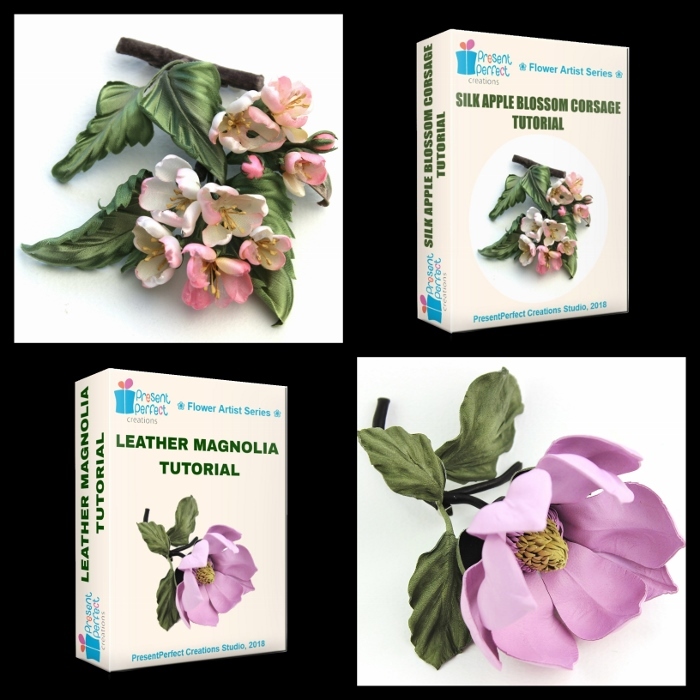 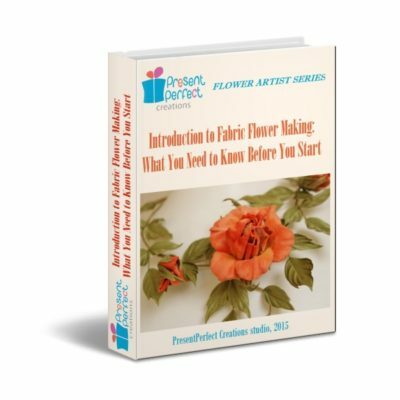 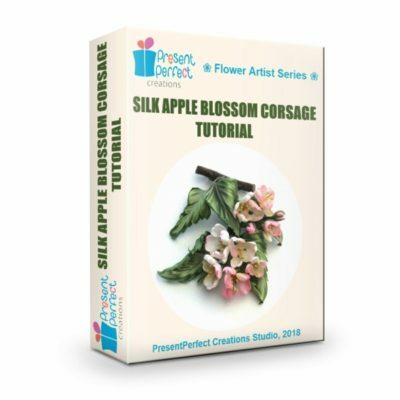 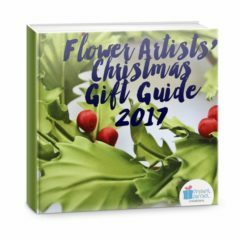 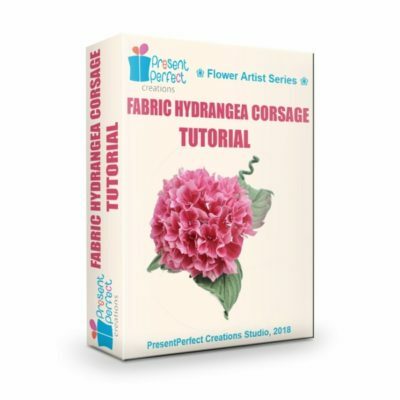 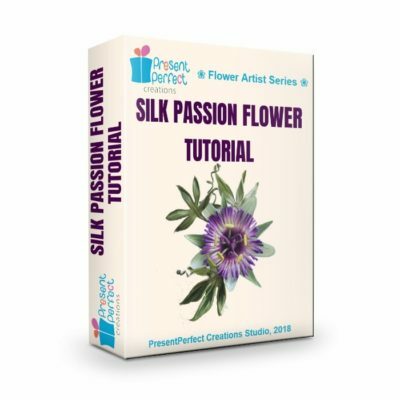 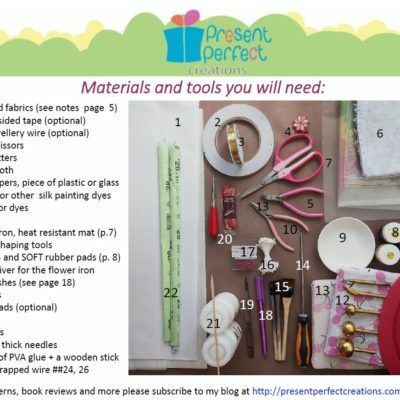 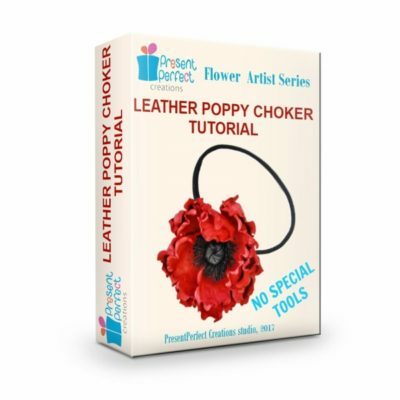 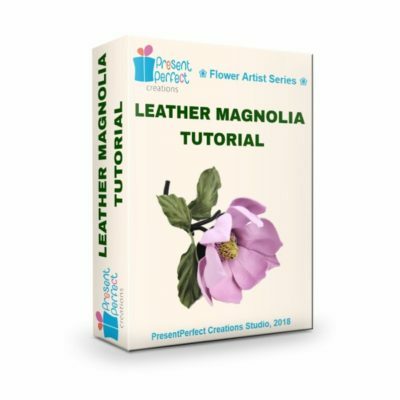 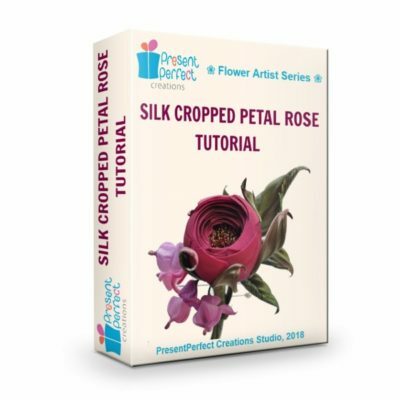 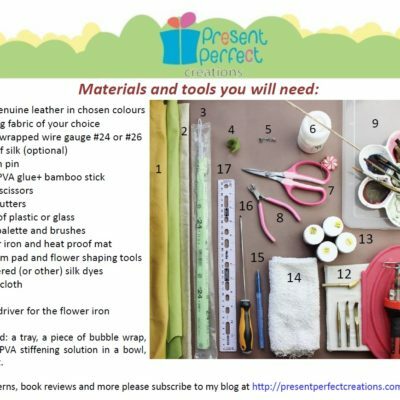 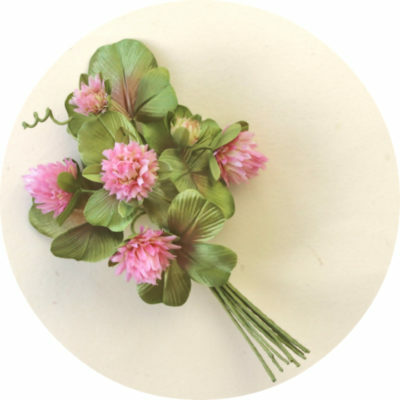 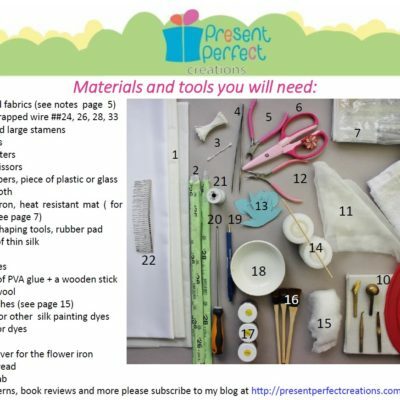 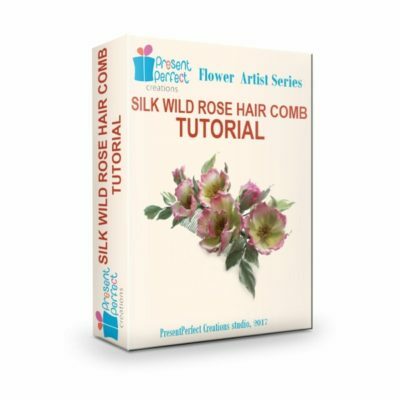 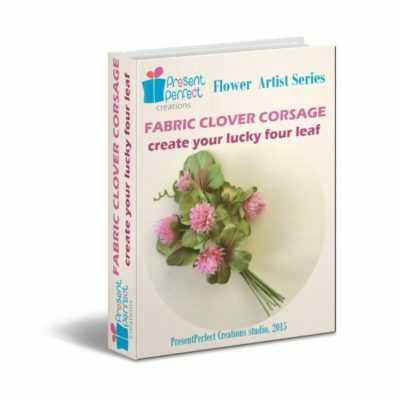 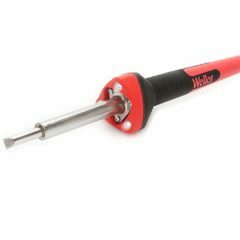 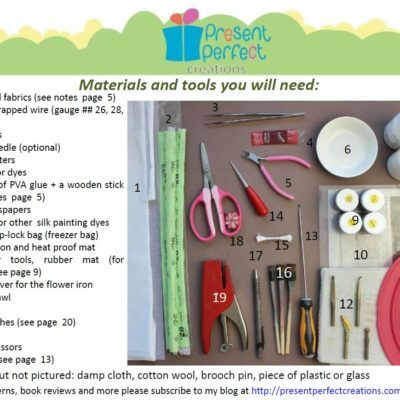 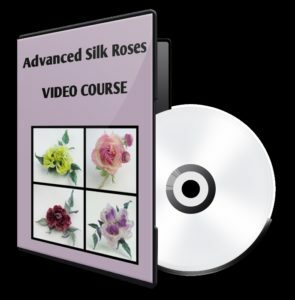 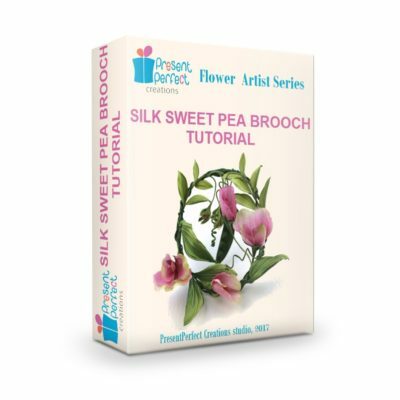 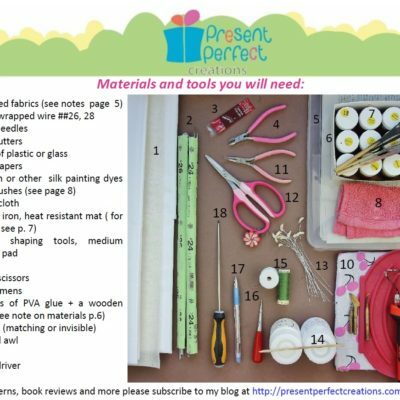 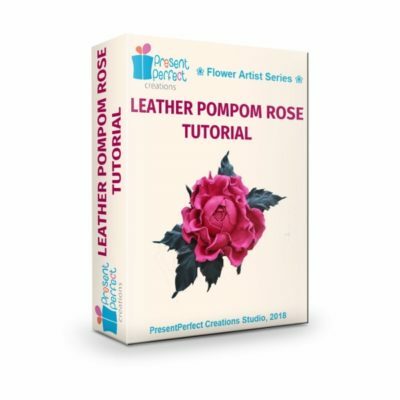 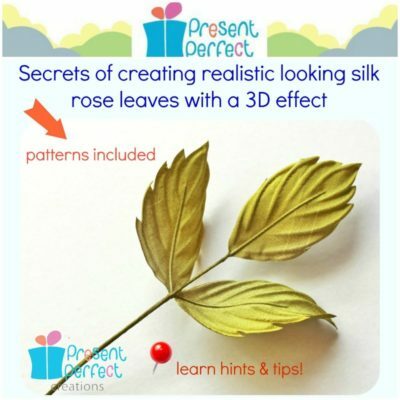 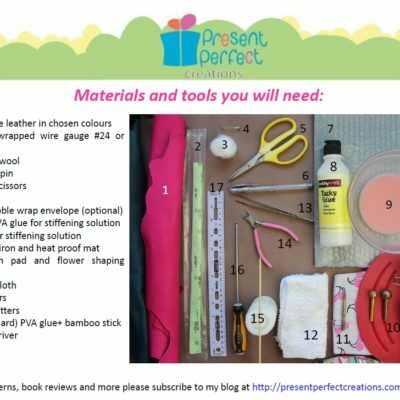 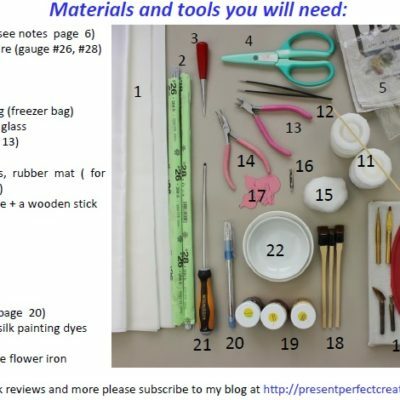 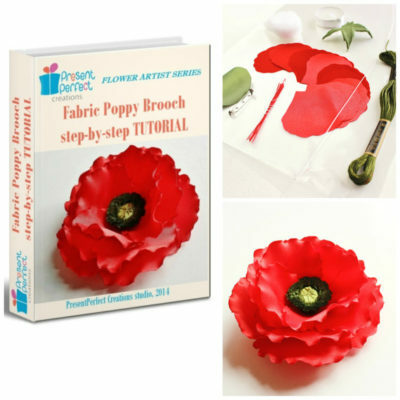 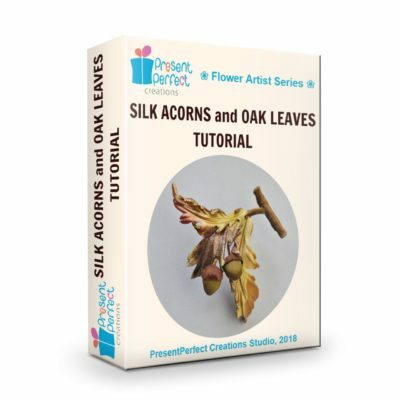 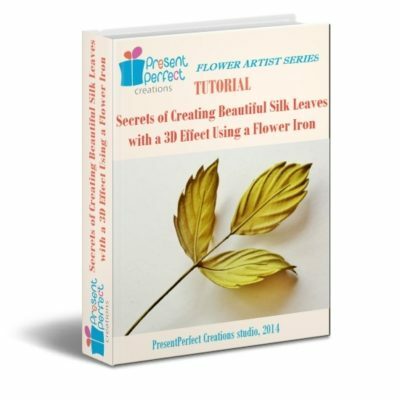 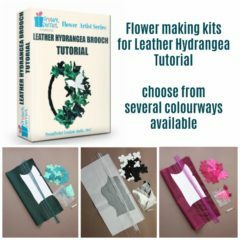 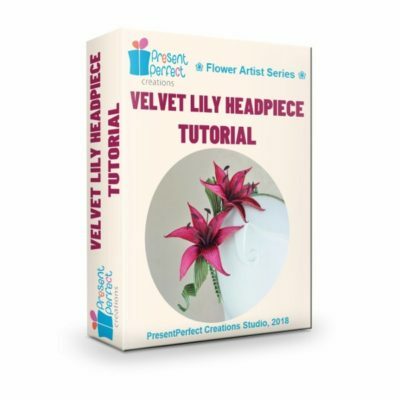 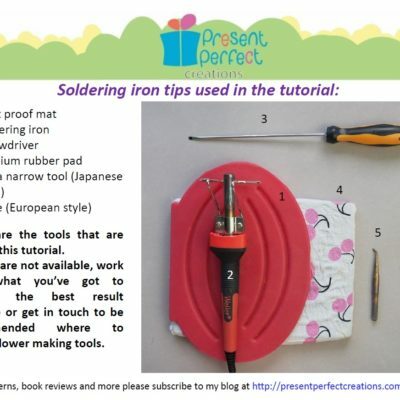 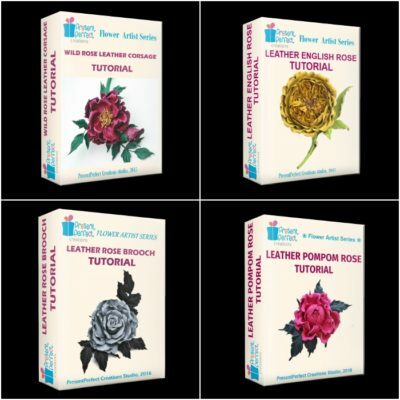 Why buy flower making kits?